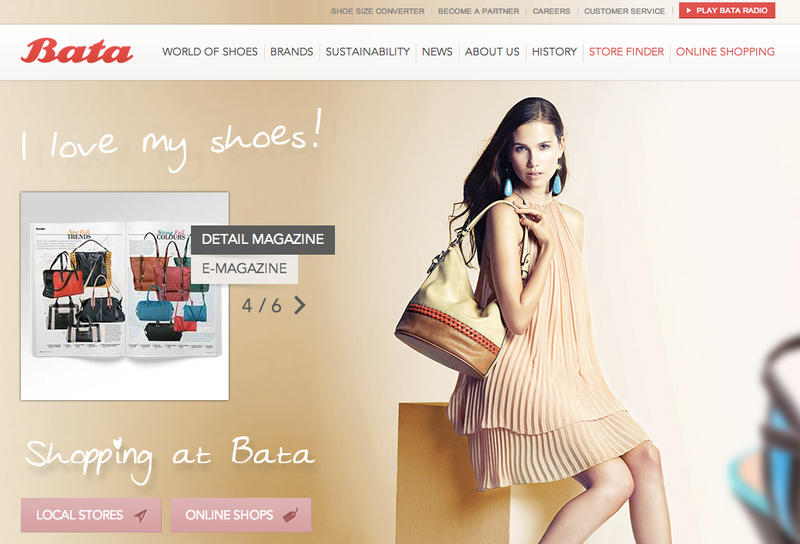 Bata is a family-owned global footwear and fashion accessory manufacturer and retailer with acting headquarters located in Lausanne, Switzerland. The organisation has a retail presence in over 70 countries and production facilities in 26 countries. In its history the Bata has sold more than 14 billion pairs of shoes and was awarded the Guinness World Record as the “Largest Shoe Retailer and Manufacturer”. The site uses parallax effect scrolling, animations with Jquery & CSS3. Use of rich media and full width imagery that works really well to create a cool, stylish brand that engages the user immediately.